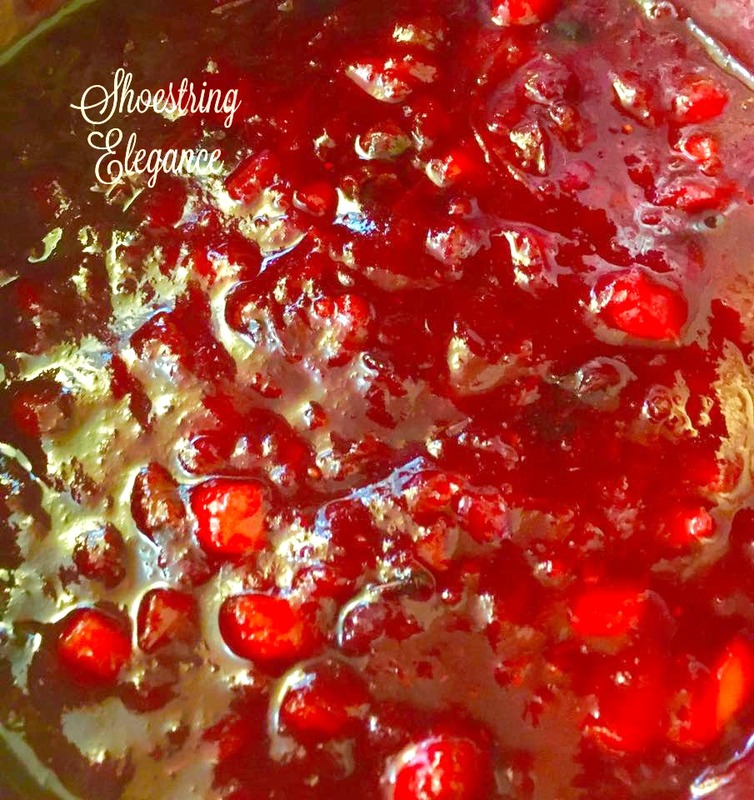 So, I began with my experimentation on a recipe for a Cranberry Apple Chutney. Just what is a chutney, you may ask? Well, it is usually defined as a "sweet or savory but usually spicy condiment, originally from eastern India, made from a variety of fruits and/or vegetables". Often combined with nuts and used with cheese. Yep, that was what I wanted! The experiment led to this quite yummy recipe that I'm sharing with you today. I can say, from first-hand experience that it is simply divine. As a matter of fact, I had some for lunch today! Yum! If you have never played with your recipes, may I humbly suggest that you do?! You might be surprised at just how good your instincts are. I've created a recipe card, here, that you can save. Please note: these are only the ingredients I used. Please feel free to make it your own and adapt it to your tastes! Once the juices from the cranberries start to release, about 15-20 minutes, add the cloves, cinnamon, raisins, and cranberries. Some people find cinnamon and cloves strong, I don't, but I recommend starting with 1/2 tsp and adding to taste. 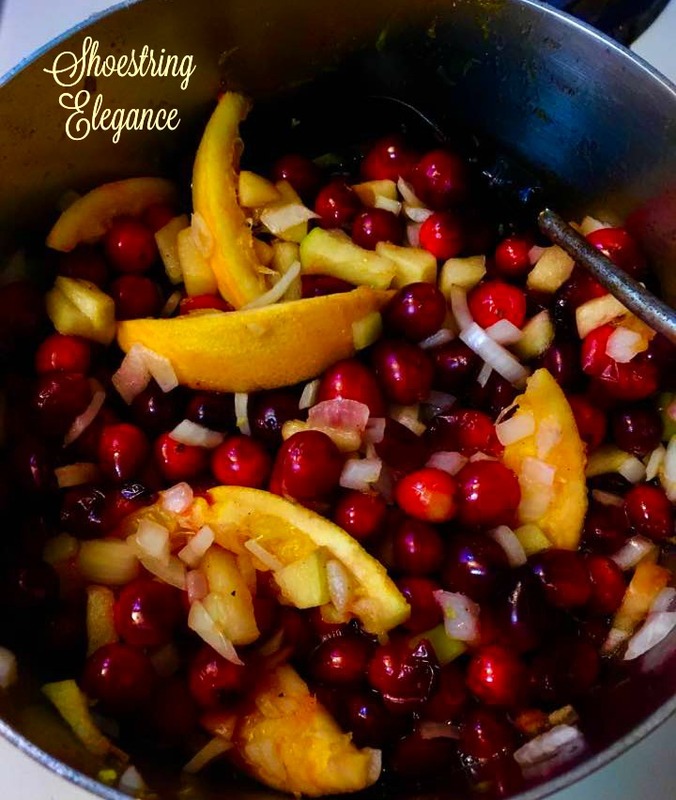 If you want your chutney to be a little looser, simply add a couple tablespoons of orange or apple juice to your hot mixture. Continue cooking on medium heat for about another 20-30 minutes. This recipe makes approximately 3-1/2-4 cups, so you'll want to scoop some into mason jars while hot and place lids on so it will keep. 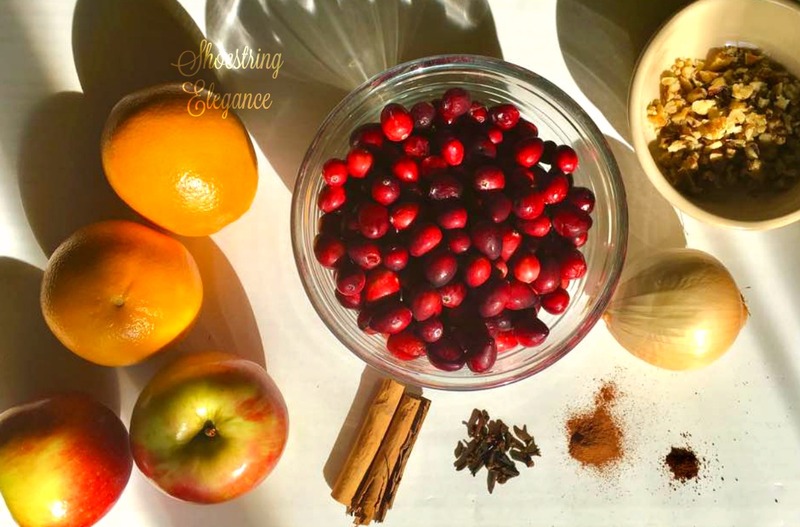 Done this way, your chutney will last you through the Holiday season. 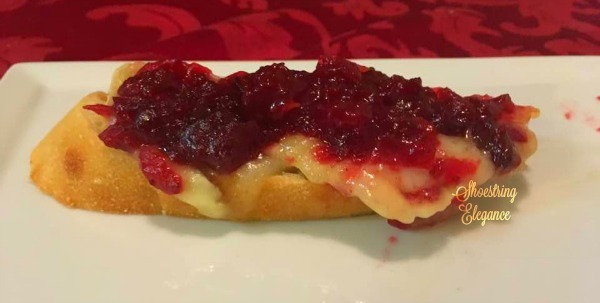 I had some of my warm chutney over some Brie Cheese on a couple of slices of French bread for lunch today, topped with some chopped walnuts for that little extra texture and flavor. You may prefer Pecans! (see my sneak pic below) but it is equally as good on a Turkey sandwich. 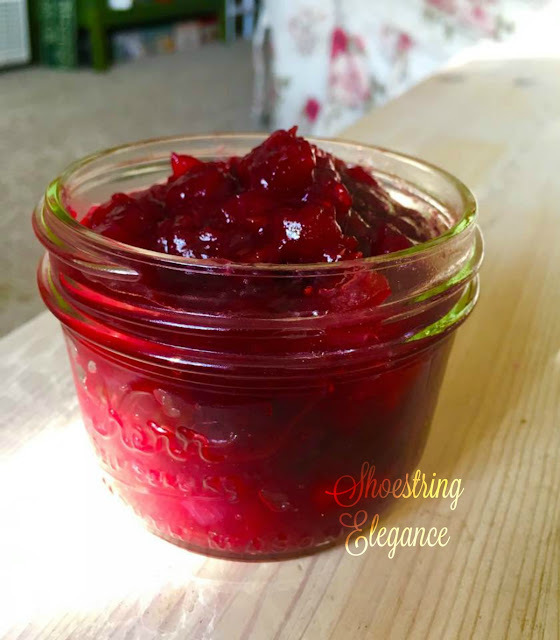 Pretty much any appetizer you can make with cranberry sauce you can make with this Chutney. I hope that you enjoy the flavors as much as I do. It's a wonderful time of the year to share something just like this with your friends and family. 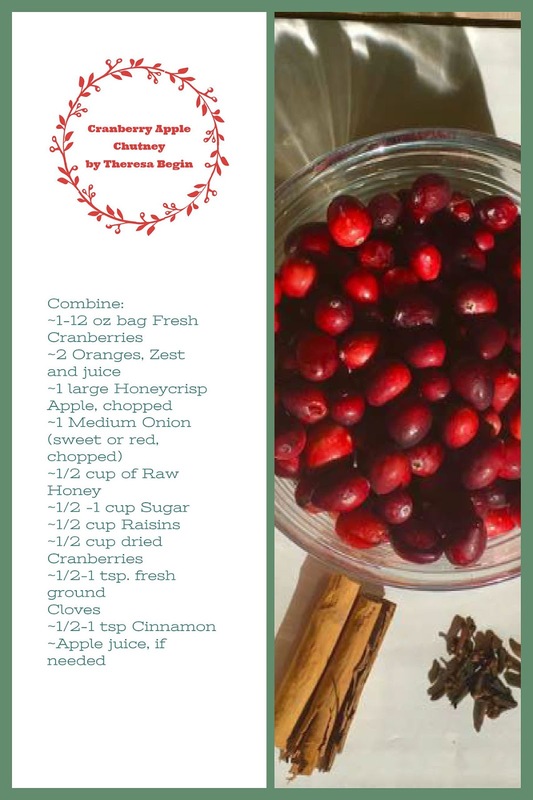 If you wanted to double this recipe, I think it would be an awesome gift to share. Thank you for taking the time to visit with me today. 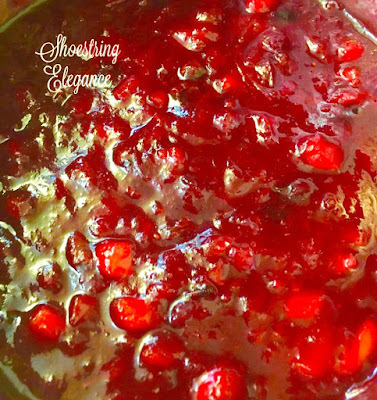 Let me know how you like my Chutney in the comments. I'd love to hear your experience! Love! Will have to try! OH, this sounds wonderful! I can't wait to make some for our Thanksgiving dinner. This is so cool! 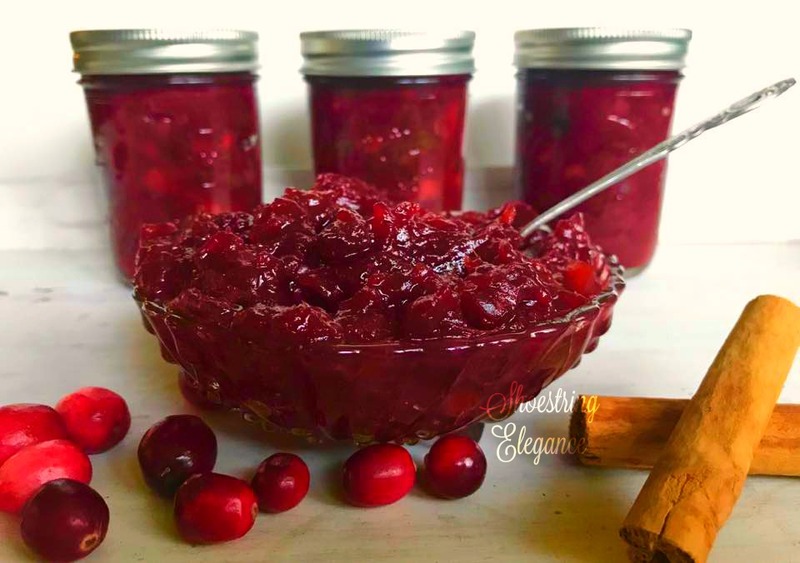 I have and Orange Cranberry Relish I am making next week. Sounds so simiar. I will save this for Christmas and compare! Can’t have too many recipes! Have a blessed week. Thank you so much for coming by and your comment, Marilyn! I can't wait to read your recipe! No, we can never have too many recipes in our hats can we?! Wow!This looks perfect for the holidays. Thanks for sharing at Home Sweet Home. Oh, Sherry, I'm so glad you enjoyed it.It is always my pleasure to get to share at you Home Sweet Home. That looks and sounds delicious! Thanks for sharing at the What's for Dinner party! This sounds delicious and perfect for holiday dinners. Thanks for sharing on Sunday's Best. I'll be pinning this one.